Let's raise a glass to freedom and tell the story of tonight! Tickets are now available for the national tour of Hamilton in Boston. The Tony Award- and Pulitzer Prize-winning Broadway musical, created by Lin-Manuel Miranda (In the Heights, Disney's Moana), will play the Boston Opera House from September 18 through November 18. Hamilton is the story of America's Founding Father Alexander Hamilton, an immigrant from the West Indies who became George Washington's right-hand man during the Revolutionary War and was the new nation’s first Treasury Secretary. Featuring a score that blends hip-hop, jazz, blues, rap, R&B, and Broadway, Hamilton is the story of America then, as told by America now. With book, music and lyrics by Miranda, direction by Thomas Kail, choreography by Andy Blankenbuehler and musical supervision and orchestrations by Alex Lacamoire, Hamilton is based on Ron Chernow’s biography of Founding Father Alexander Hamilton. 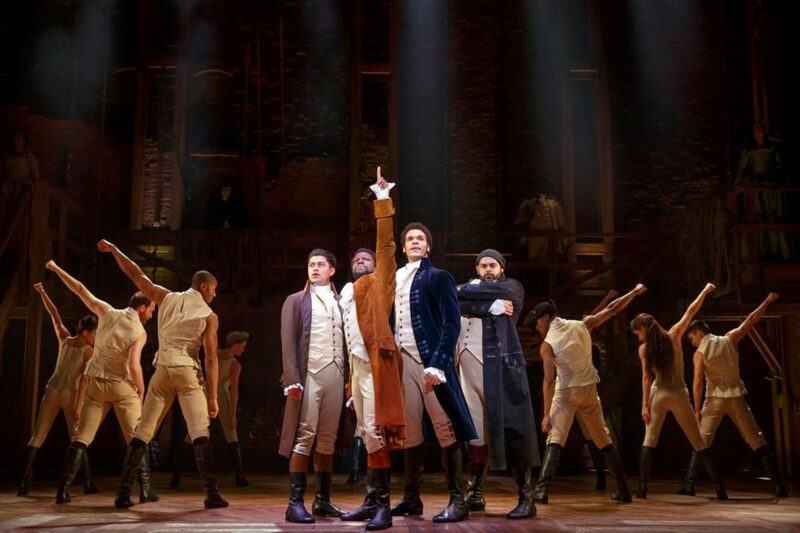 The cast of the touring production of Hamilton features Austin Scott as Alexander Hamilton, Julia K. Harriman as Eliza Hamilton, Nicholas Christopher as Aaron Burr, Sabrina Sloan as Angelica Schuyler, Bryson Bruce as Marquis de Lafayette/Thomas Jefferson, Carvens Lissaint as George Washington, Chaundre Hall-Broomfield as Hercules Mulligan/James Madison, Peter Matthew Smith as King George III, Rubén J. Carbajal as John Laurens/Philip Hamilton and Isa Briones as Peggy Schuyler/Maria Reynolds. You'll want to be in the room where it happens, so get your tickets to Hamilton today!